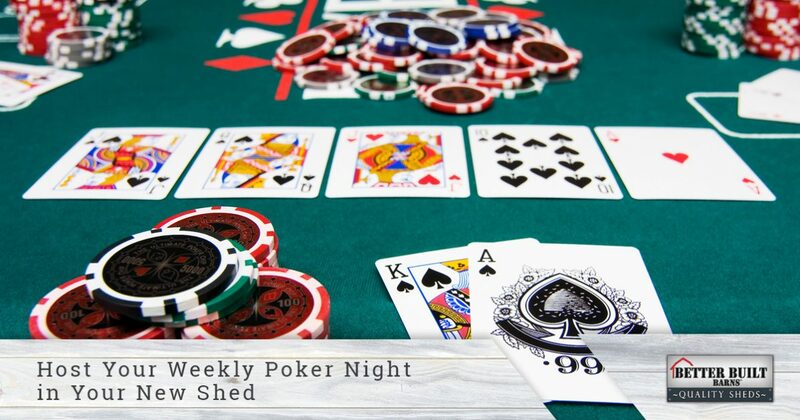 Custom Sheds Washington: A Better Poker Night! At Better Built Barns in Washington, we want to help every customer find the perfect custom shed for his or her property, no matter what purpose it’s going to serve. Perhaps you need a place to park your classic car or you want to build a woodworking shop to support your hobby once you’ve retired. Maybe you host a weekly poker night and need a better space to play the game. With a new shed, you can create the ultimate game room and your friends will love coming over! While it may sound strange to your friends that you’re going to be playing poker in a shed, their opinion will likely change once they step foot inside. Depending on the size of building that you choose, you can add a poker table, chairs, and other furniture that will make the space extremely comfortable. If you want to create the most amazing game room, consider adding a pool table, a couch, and a flatscreen TV. That way, you can watch your favorite team while you play, and those who lose all their money early on have somewhere comfortable to sit and something else to do! 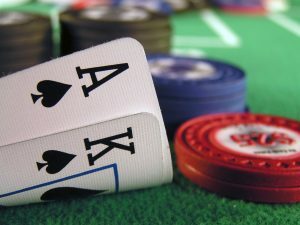 If you’ve been wanting to expand your poker game so that multiple tables are running and the pot can grow ever bigger each time, than enlarging your space is the first step to inviting more people. Whereas before, you were playing in a corner of the basement with three or four friends, you can now invite several more people and spread out throughout your new shed. With enough room for multiple tables and chairs, everyone can enjoy a comfortable game. If you’ve been hosting your poker game for some time, you’ve most likely had to rearrange the living room or the basement to make space for the pop-up poker table and folding chairs. This can disrupt the flow of the house, and you have to make sure the rest of the family knows the game is going on. If you have kids, there’s a pretty good chance they’ll want to see what’s going on, which can interrupt the game and make it last longer. By moving the game to your new shed, you won’t disturb the household and you won’t have to worry about interruptions. With a custom shed, you can decorate the interior however you want. If you want to put a dartboard on the wall, you can, and if you want to hang a picture of dogs playing poker, you can. When we’re finished, you’ll have a blank slate with which you can do whatever you desire. You can paint the walls your favorite color and add all the decor that will make the space feel complete. If you haven’t found a good place to hang that neon bar sign, now you’ll have the perfect spot! If you’ve been hosting the weekly poker game for several years and you’re looking for a new place to play, why not consider adding a shed to your backyard? At Better Built Barns, we offer a number of amazing options, and we can recommend the best building based on your needs. You can customize the roof, the doors, the windows, and more, and we’ll make sure that the finished products looks exactly how you envisioned it. If you have questions about site requirements and site installation, we’ll be more than happy to help. Contact us today to get started on your project. We love hearing about what ideas people have for their shed, and we look forward to helping you!